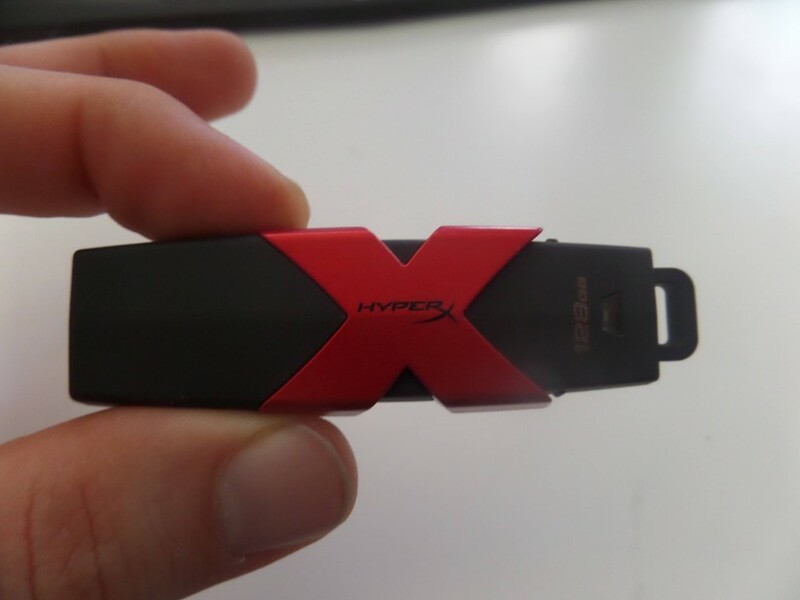 Kingston has sent us USB Flash Drives to review before, but nothing quite like their brand new HyperX Savage line of USB Flash Drives with USB 3.1 support. These flash drives which come in 64GB, 128GB and 256GB capacity claim to have 350MB/s read and 250MB/s write speeds but do they live up to that claim? Let’s find out, but first let’s showcase the packaging. 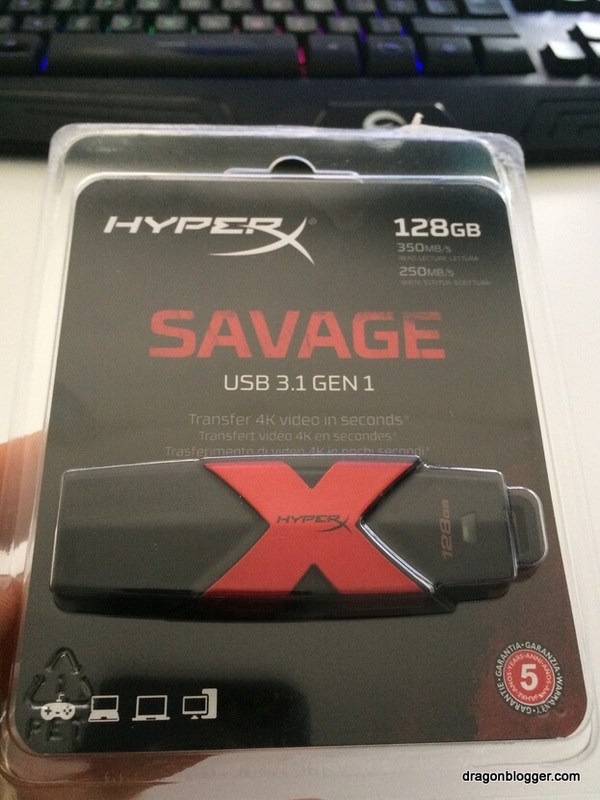 The Savage USB Flash Drive has a really nice solid metal feel to it, it is a plug N Play device that comes pre-formatted so you shouldn’t have to format it at all, in fact it is recommended you don’t format it as you won’t get as fast transfer speeds if you format the device according to Kingston. 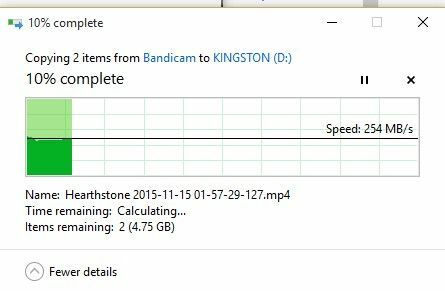 I was able to see screaming fast write speeds even exceeding the 250MB/s write speed claims by Kingston as I was consistently seeing 254-256MB/s during the write tests. 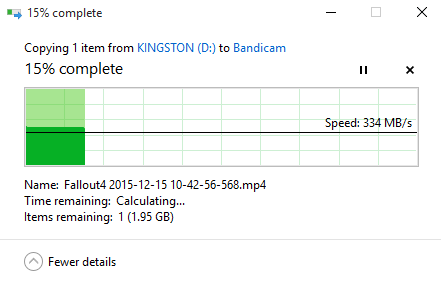 I tested with dozens of < 1GB files and with larger files like this 4.75GB file and this is by far the fastest USB flash drive I have reviewed to date. Note, these are about 100MB/s faster than the 64GB DataTraveler HyperX 3.0 I reviewed and gave away a while back. 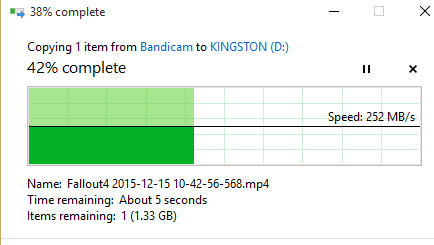 This is 80% the speed of some SSD drives with SATA interfaces, and this is a standard USB 3 Flash Drive which is incredible. Read speeds were a little misleading because they were all over the map, and I think limitations of writing to my SSD drive in my laptop skewed it. 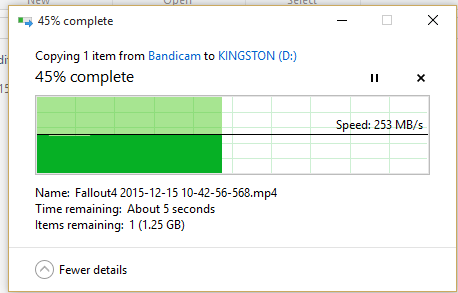 It could hit as high as 300MB/s and drop off as it was writing to my disk. It would always start extremely high, but taper off very quickly as it went up through the percentages. Still we are talking about a 2.4GB file being transferred in less than 5 seconds from USB stick to hard drive. 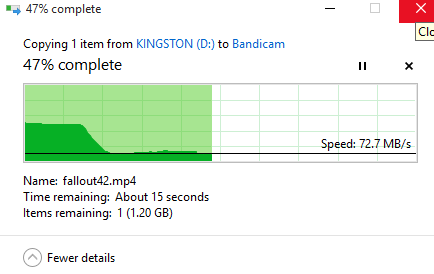 On my son’s ASUS ROG laptop I was able to see it hit 368MB/s for about 5-10 seconds before tapering into the 200MB/s range and simply put this USB flash drive was able to exceed the listed transfer speeds that Kingston lists on the product page consistently. So here’s the real deal, at the price of just under $100 the Kingston HyperX Savage Flash Drive is on the expensive side for a 128GB flash drive and you can get much slower flash drives for 1/3 the price. So the blazing fast speed comes at an increased cost, is the extra 80-100MB/s worth the extra $30-$40 cost from some competitors, I would say this depends on how often you transfer data to the drive and how much you will be using it. This is the ideal drive to load up 100GB of movies and plug into a router USB port and let it serve content to all your media devices in the house, this would be well spent as the transfer speeds would support 4K playback with ease reading from the USB stick in the USB port. If you are using it to backup documents/files the extra cost may not justify the fact that you save an extra minute or two in transfer time, but again this all depends on how much you want to backup and how quickly. 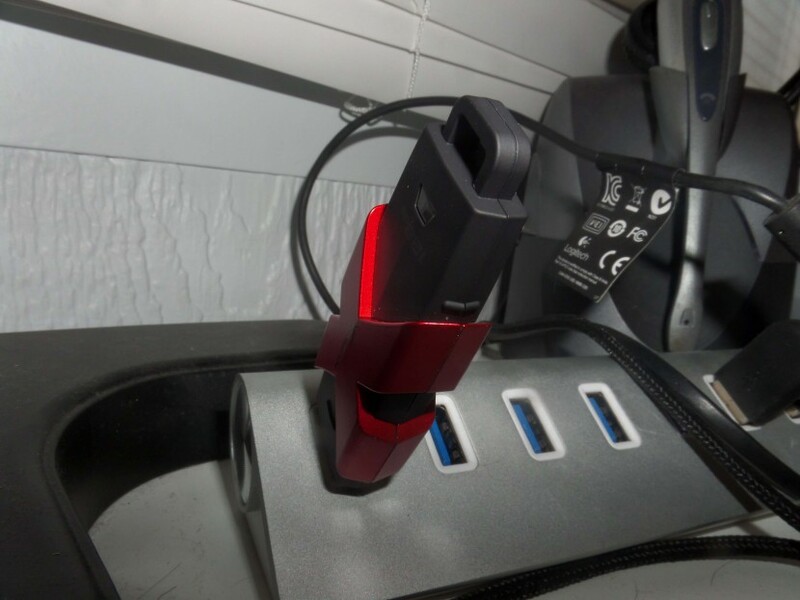 I see this as more the ultimate solution with dealing with moving large media files or streaming media files from a USB flash drive and for this purpose the Kingston HyperX Savage is well worth it.